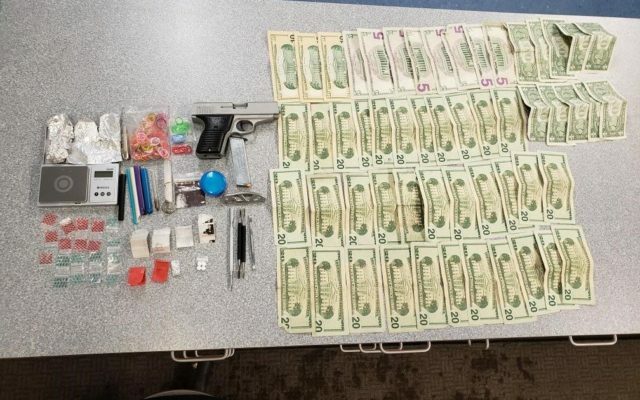 PRESQUE ISLE, Maine — An individual stopped by the Presque Isle Police Department is facing a range of drug charges for allegedly possessing methamphetamine, illegal pharmaceutical pills and a substance thought to be heroin. On Sunday, April 7, Presque Isle Police Officer Tyler Cote stopped a vehicle on Water Street in Presque Isle. The stop led to several drug charges, after Cote reported finding methamphetamine, illegal prescription pills and a substance believed to be heroin that has been sent to the lab for testing, according to a media release. Police also reported seizing suspected drug paraphernalia, a firearm and $740 cash. Presque Isle police chief Laurie Kelly said the department is not identifying the individual or releasing further information about the case at this time.